As the saying goes, prevention is better than cure so is the relevance of insurance in all matters concerned with daily life. This applies to travel insurance too as it can protect you from significant losses during travel. This can result from a variety of situations like canceled trips, lost baggage, medical emergencies, supplier defaults, as well as other unexpected circumstances. There are many types of travel insurance coverage open to the business class flight passengers as well as for others. The consumer travel insurance coverage and limitations of each would vary depending on the insurance company which issues the policy. Some of the general type of travel insurance for business class passengers is described below. 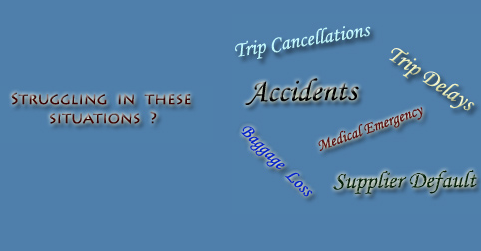 Trip cancellation: This is the most common and most important type of travel insurance. If a trip is canceled or interrupted due to unpredicted circumstances, the insurance would generally cover non-refundable payments or deposits. Trip delay: When a trip is delayed, the insurance would provide reimbursement for expenses incurred. Accidents/ Sickness medical expenses: During a trip if a traveler is subjected to injury or illness, the insurance would cover the incurred costs. Medical evacuation/ emergency transportation: While traveling if a medical emergency occurs and it requires transportation to a hospital or other medical facility, the costs would be covered under the insurance. Baggage/ Personal effects loss or delay: The insurance covers losses due to items lost, damaged or delayed during a trip. Supplier Default: If deposits or payments are lost due to the financial default of a travel supplier, coverage would be given for the loss. Many times it has been seen that the travel agencies including tour companies and cruise lines offer their own protection plans and these plans may provide very different coverage which would be different from what offered by the third party insurance companies. If they go bankrupt, the supplier provided coverage would not cover you in most cases. Make sure to compare the coverage with third party travel insurance products when you are considering a supplier protection plan. There is a natural question in everyone's mind as to who should buy the travel insurance. If you are traveling in a business class flight and would like to protect the travel investment, then you must consider purchasing travel insurance. It is always prudent to talk to the travel agent who would guide you in selecting the right travel insurance provider that would meet your needs.